If you’re looking for a fast, straightforward finance solution, we should talk. We’re here to help you understand the process and all fees and costs so that you can make an informed decision. We’ll crunch the numbers, compare competitive plans from respected lenders and present you with the best finance option for you now and in the future. Looking for a personal loan that comes with a personalised service? Look no further; we can help you with finance for all of life’s ups and downs. Wendy and I are getting lots of enjoyment from my new Indian Motorcycle and would like to sincerely thank you for your part in making the purchase so easy and so comfortable. This was the second time you have arranged finance for me and I still can’t believe how you made it such a pleasure to part with money. 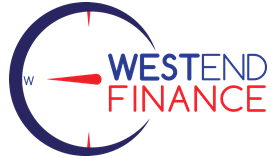 I could not be happier with the help Westend Finance have provided for me even with all my questions they were very professional and I would highly recommend your company to anybody that asks me about finance options. I recently got in contact with Ben Rowson from Westend Finance to help me with the purchase of my new motorbike. I found Ben to be very professional with a polite and friendly manner. Ben went out of his way to work around my very busy work hours by coming to our home fully prepared with the best deal possible, which made the experience stress free. I have no hesitation in recommending Ben Rowson to anybody looking for an honest, reliable finance broker. Once again thank you – It has been a pleasure to deal with someone who is both approachable and professional. Often these days it is hard to get clear answers to question and prompt service, let alone swift and decisive assistance. With you all of this was possible and honestly I believe you went over and above the usual service to ensure that everything happened in the timeline we had set you. We really appreciate it and are happy to recommend you and your company to others in the future.